Significant changes have taken place in the bus and coach glazing industry since B&CB focused on it last year. Companies have been acquired, making giants in the sector even bigger and other players in the arena have made changes to further improve their service. 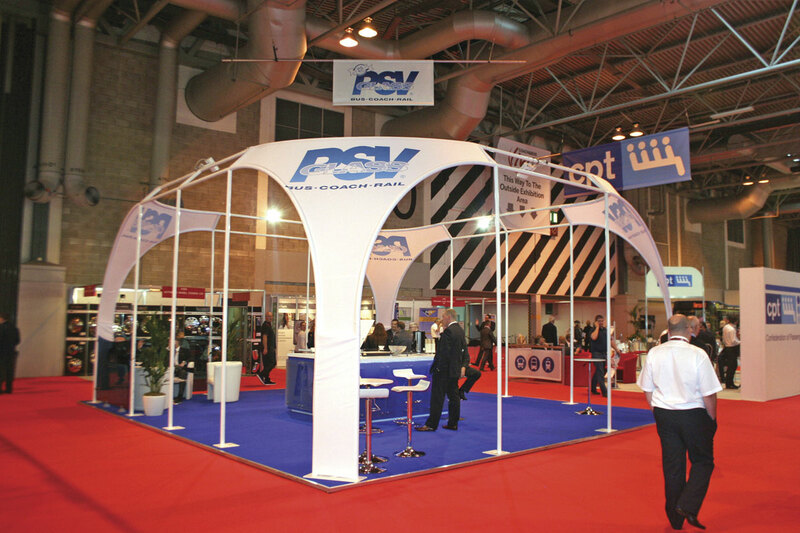 Chris Peat helps keep you up to speed with the latest advances in the world of PCV glass. Paul claimed most coach operations look to outsource their glazing repair and replacement work, rather than attempt it themselves. One of the advantages is it can speed up repair times, according to Paul. Autoglass keeps a ‘massive’ amount on stock, raising the probability that it will have the right glass first time. Its parent company, Belron, is an international concern, which gives the specialist extra buying power and access to glass for imported vehicles that are no longer available in the UK. Commenting on developments in the glass repair industry over the years, Paul said there had been a lot of development in the chemicals used to fill cracks and chips, with the emphasis on reducing the curing times. One Person Lifts (OPL) are used more often too, making it easier and quicker to fit larger, heavier windscreens. He has noticed a change in recent times with operators leaving cracks and chips longer before getting them repaired. What Paul says has stayed the same though is operators still want quality. Using the right people, equipment and glass remains important. Autoscreens Nationwide’s biggest development of late is its Xman windscreen replacement system. The bespoke equipment was designed for the company by an engineer, with the repair and replacement specialist’s John Consadine saying it is the only device of its kind in the UK. Consisting of a lifting mechanism and suction pads, the device helps the business deliver a faster windscreen replacement time and makes it easier and safer when lifting heavy panes. It also means less technicians are required on the job when fitting new windscreens. The system has evolved from being manually operated to motorised. John said it aids technicians in getting the screen squarely in place first time every time. A success story is that of Wakefield based Elite Specialist Glazing, which has grown its business threefold in the past 12 months. Despite being a relatively new company, it is run by someone with plenty of experience. Steve Plant has been involved in the PCV glazing repair and replacement trade since the start of his career in 1986. He commented, ‘I can’t believe the year we’ve had’. Steve believes it is the personal service he provides, that is the key to his success. ‘It is all about that one to one contact. You’re not on the phone to someone in a call centre when you phone us up, you’re through to someone that knows what it is they are talking about. I know the vehicles and I know what they are going to need. It’s that personal touch, and people like that. Its simple things, like if I say I’m going to be somewhere for a certain time, I’ll be there for that time,’ he said. With over 25 years experience in the industry, Steve is well versed in all aspects of repairing glazing, as well as replacing it. He also has the skills to cut and fit glass to any requirements. To help meet demand, he has his own stock of glass and he also provides a restoration service for windows and can refurbish frames. Although modern vehicles make up the bulk of his work, a particular niche he is involved in is the repair and replacement of vintage vehicle glass. This is not the only acquisition PSV Glass has made lately. 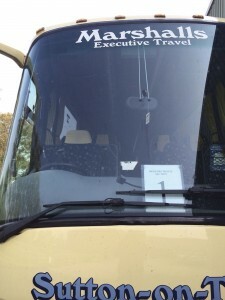 The company has also taken on the bus and coach division of Europarts National Windscreens. The deal includes all staff and assets relating to the company. 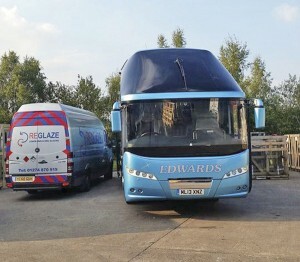 In Ireland, PSV Glass will continue to trade as Coach Glazing Services (CGS) but will now operate from premises in Dungannon and Dublin under the management of Stephen Ferguson, a well known name in the industry, who now joins CGS from Europarts National Windscreens as National Sales Manager. One final development for PSV Glass is its deal with Arriva Bus and Coach, which has appointed them as its exclusive distributor and installation specialist for glass parts for the Van Hool and Temsa ranges, which it sells and supports. 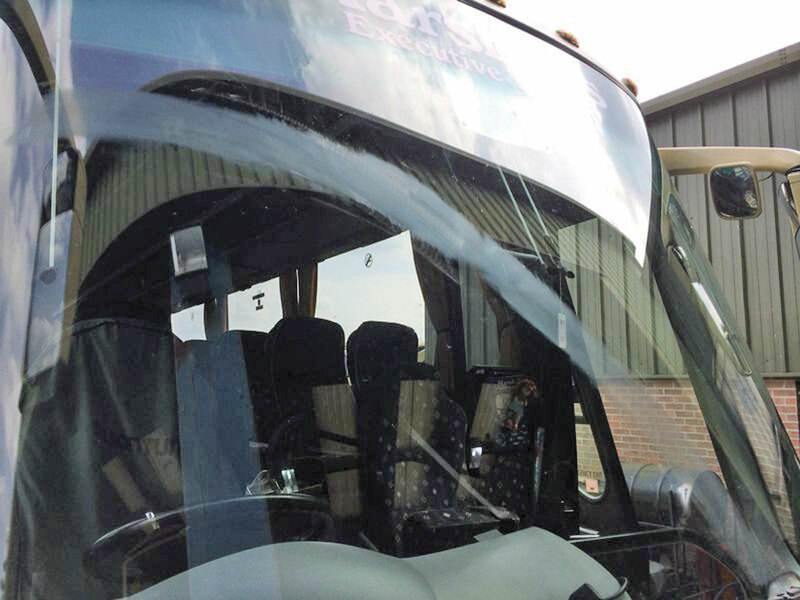 PSV Glass currently installs these specialist parts through its installation divisions: Bus and Coach Glazing and 1st Glass in the UK and Coach Glazing Services in Ireland. 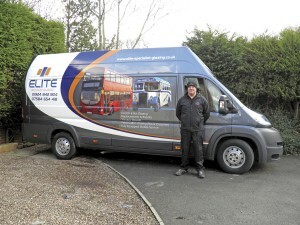 Another large supplier of glass to the industry is Carlyle Bus and Coach from West Bromwich. Famous for its emergence from the engineering headquarters of the erstwhile Midland Red, the company supplies glazing from various sources, importing a great deal from manufacturers such as Finnlamex or sourcing it from the UK, buying in such brands as Pilkington. The business stores around £6.5m worth of glazing at its 42,000 square foot headquarters. In recent years, the warehouse used to store this stock has been reorganised to increase its capacity. One of Carlyle’s recent developments in terms of glazing is the appointment of its Glass Manager, David Glennon. Carlyle Director, Neil Smith said, ‘He is proving a great benefit with his knowledge and expertise’. The business has also successfully expanded into motorhome glass supply. Carlyle is the preferred supplier to Autoglass and has recently renewed its contracts with the company and other independent fitters. These advances are in addition to the company’s focus on constantly expanding its range of bus and coach glass. 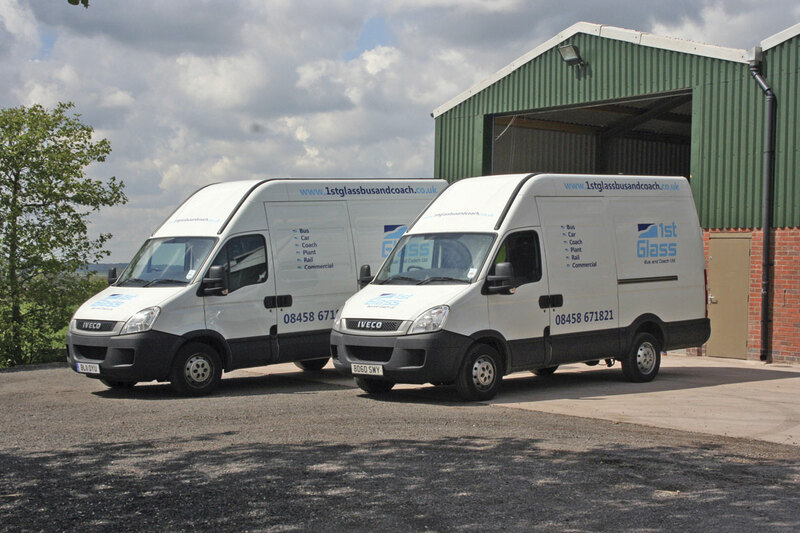 Demand for its glazing service has increased, with the business having to increase the number and size of delivery vehicles to cope with it. 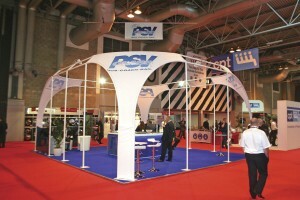 Neil said keeping abreast of all the new PSV models and variants being introduced to the UK can be a challenge. However, to keep on top of this, the company has a vast array of vehicle schematics listing various part inventories with numbers to aid with parts picking. Carlyle is the preferred glass supplier of Reglaze, the Cleckheaton based glazing repair and replacement specialist. Reglaze’s Sharon Blackmore said, ‘We find their service second to none and their glass is of a quality standard’. The company aims to use the best glass and consumables to provide its 24/7 coverage for the industry. To ensure fast response times, it has three locations across the UK with round the clock access. Reglaze may have some new developments in the pipeline, having had some ‘very interesting meetings’ just lately for developments it hopes will come to fruition in the near future. Chips and cracks are not the only damage picked up on glazing, graffiti is a problem too, especially on the top deck of double deckers. Etchings on windows are something Chicago Glass specialises in taking care of, in addition to carrying out general glass repairs. It uses its Graffiti Gone process, which the company claims is the only glass polishing system in the world for removing scratches without distortion. Fitting a film over the pane after polishing protects the glass from further graffiti attacks. This can be peeled away, leaving the glazing undamaged. The business has provided this service to major operators, as well as independents. It can be carried out on glass on all vehicles, as well as buildings. Chicago Glass technicians are based in five strategically placed locations throughout the country. Repairing your own chipped or cracked glass is as much about saving vehicle downtime as it is saving costs, is the message Esprit Director, Neil Skidmore, is getting across. The company supplies the equipment needed to carry out in house glazing repairs. Benefits of doing it yourself include being able to fit the work into your own time frame without having to shuffle schedules or arrange replacement vehicles to facilitate a technician turning up. It is a less costly option too, with Neil saying each repair costs £2 in consumables and 30 minutes labour. He said the worst thing operators can do is to put it off, leaving a chip or crack to develop into something that cannot be repaired and therefore turns into an expensive replacement. Neil also says the process is straightforward. The hardest part of the job is having the patience and observation to ensure the repair has been done properly. To ensure owners of the equipment have the latest instructions on how to use it, Esprit has reshot its instructional video on how to use its kits several times and the most up to date user’s manual is available as a free to download PDF on the company’s website (www.espritws.com). Neil said the business has spent its 30 years supplying this equipment constantly refining and modifying the kit, with the aim being to increase ease of use. For instance, it has added a sun shield to aid in curing outdoors and an improved injection seal, as well as a torch after it was found some operators were doing the repairs in workshops with minimal lighting. Another name in the glass repair kit market is GT Glass. It has recently taken on a major UK operator as a customer, with its glazing repair and replacement equipment being made available across the concern’s entire UK operations. 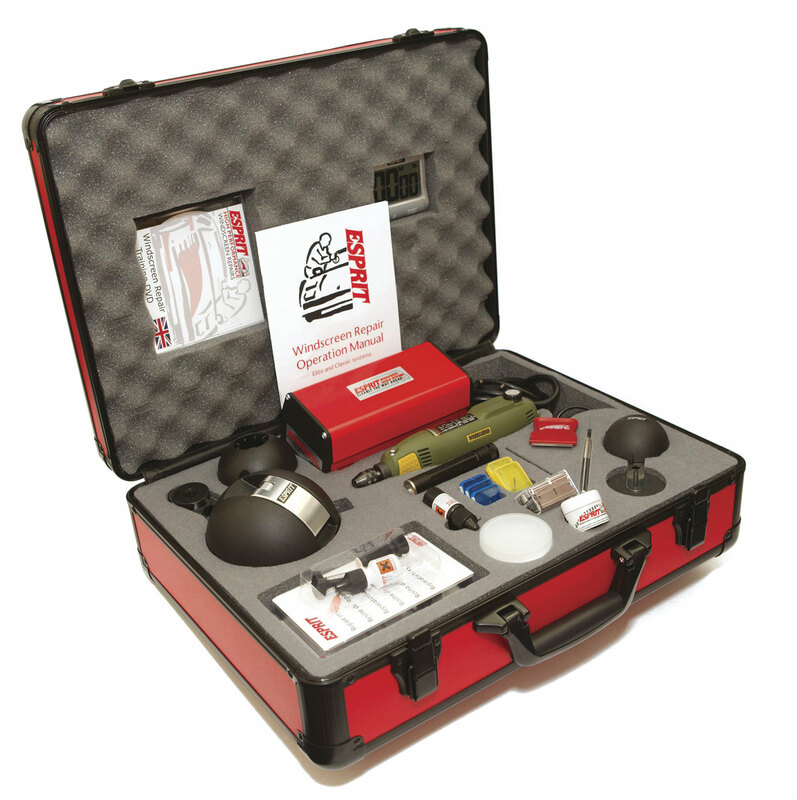 Kit offered includes a variety of resins, a tripod injection system, a UV curing lamp and a number of accessories. All of the electric components are rechargeable and wireless, meaning there are no trailing cables when the tools are in use. In addition to the repair equipment, GT Glass has recently added a polishing kit for getting rid of windscreen wiper marks. Developed through the summer, the product has just been released. Director, Ian Sprigg, said using it is a quick process and creates no mess. ‘It is very new and very unique,’ he said. Repairing chips and cracks and removing stains is one part of the challenge of dealing with glass in house, but another is replacing it. One of the trickiest tasks is removing the old pane. To aid in this, JT Handtools has a system designed for doing just this. Windscreen Wizard works using a series of suction pads and pulleys, which can be used to lever the window out of the aperture. It has a wire that is used to cut around the outside of the frame. Designed to be a good quality product, Director, Richard Vaughan, said the company aims to provide good after sales support too. He is currently looking for a company that would like to collaborate with him to put together a video and marketing material of Windscreen Wizard being used on a coach or bus.